The British public school is an iconic institution, a training ground for the ruling elite and a symbol of national identity and tradition. 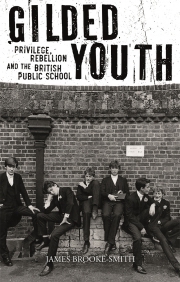 But beyond the elegant architecture and evergreen playing fields is a turbulent history of teenage rebellion, sexual dissidence and political radicalism. James Brooke-Smith wades into the wilder shores of public-school life over the last 300 years in Gilded Youth. He uncovers armed mutinies in the late-eighteenth century, a Victorian craze for flagellation, dandy-aesthetes of the 1920s, quasi-scientific discourse on masturbation, Communist scares in the 1930s and the salacious tabloid scandals of the present day. 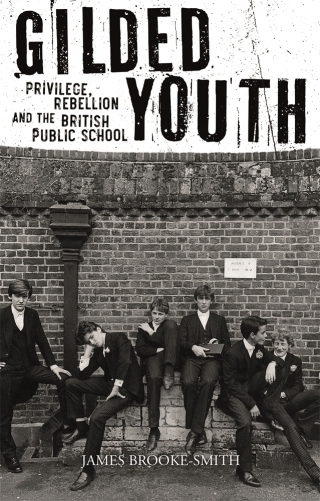 Drawing on personal experience, extensive research and public school representations in poetry, school slang, spy films, popular novels and rock music, Brooke-Smith offers a fresh account of upper-class adolescence in Britain and the role of elite private education in shaping youth culture. He shows how this central British institution has inspired a counter-culture of artists, intellectuals, and radicals – from Percy Shelley and George Orwell, to Peter Gabriel and Richard Branson – who have rebelled against both the schools themselves and the wider society for which they stand. Written with verve and humour, this is a highly original cultural history in the tradition of Owen Jones’s The Establishment: And How They Get Away With It. James Brooke-Smith is an Associate Professor of English Literature at the University of Ottawa. His writing has appeared in the Times Literary Supplement, Village Voice and Public Books.